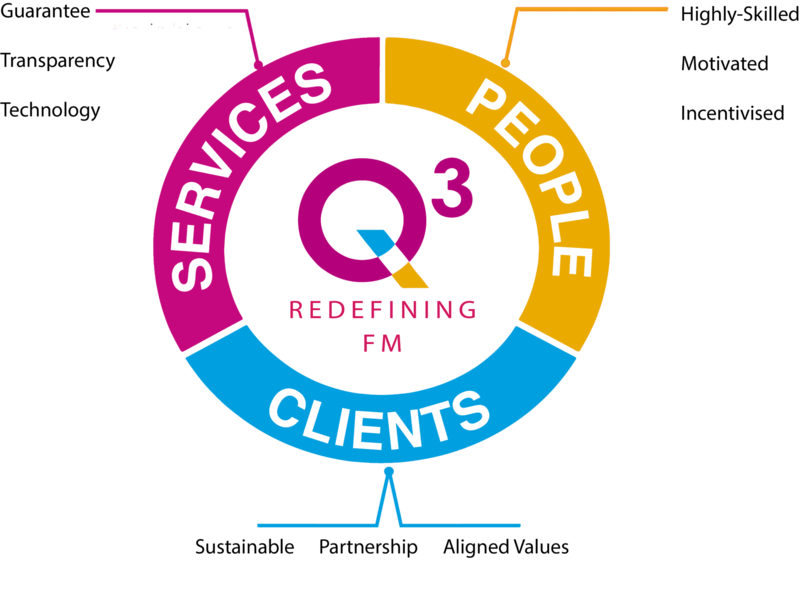 We are Q3, a boutique British FM company that is changing the way our clients benefit from outsourced services. 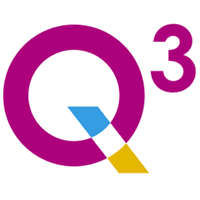 Entrepreneurial in spirit, Q3 has three main objectives: to boost productivity through healthier workplaces, to be open and transparent with all stakeholders and to transform the working environment for our own employees. Our operators are at the heart of our business, without them we cannot be the business we want to be. Our operators are more than our employees, they are our partners and our client’s partners. Ownership, accountability and flexibility is second nature to all those working within Q3. Our offer includes the most up to date and relevant technology and equipment as well as environmentally friendly and sustainable cleaning materials and consumables. It’s a truism in our industry that commercial cleaning clients don’t notice if their cleaning provider does its job brilliantly, but they do notice if the job’s not up to spec. We understand that reality and always aim for clients to come into their clean and tidy office and just be able to get on with their job – it’s what we do 24/7. Q3 Waste and Environmental Solutions Ltd is a forward thinking waste expert and partner of choice, we specialise and work with each customer to create a bespoke waste management solution tailored to fit around the customers needs and expectations, we operate throughout the UK and have approved contractors who meet our strict auditing criteria, we strategically place our contractors based on three key elements. 3) compliance - making sure disposal outlets have correct licensing to accept waste streams. We are a one stop shop for all Waste & Recycling needs. Our services include but are not limited to. The Prevention of waste in its entirety - mapping each stream from cradle to grave. Reducing waste and increasing all recyclable materials - finding suitable rebates where possible. We are already making a difference in the corporate world; we’d love to meet up with you on a no-obligation basis to discuss your FM needs and to explain our approach to excellence, plus we’ll bring in game-changers like our unique service guarantee and plenty more.